An article from Phys.org gives thanks to a team of engineers from the university of California, Berkeley and Keck Graduate Institute of The Claremont Colleges, who created a new device called the CRISPR-Chip to help, potentially, diagnose genetic diseases more efficiently. The device has the ability to search DNA to seek out potential mutations by placing purified DNA directly on the chip and within a few minutes the graphene transistor reports the data. Graphene was used because it is very electrically sensitive giving it the ability to detect a DNA sequence mutation without amplification. 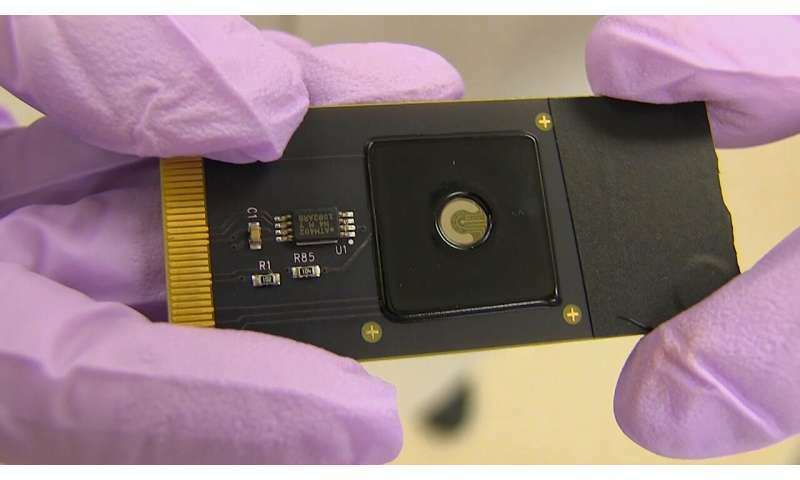 What this CRIPR-Chip does that most forms of genetic testing does not is the CRISPR-Chip uses microelectronics to detect the mutations without amplifying or replicating the DNA segment. This is significant because this means genetic testings can be performed in doctors offices without a need to send the samples out.